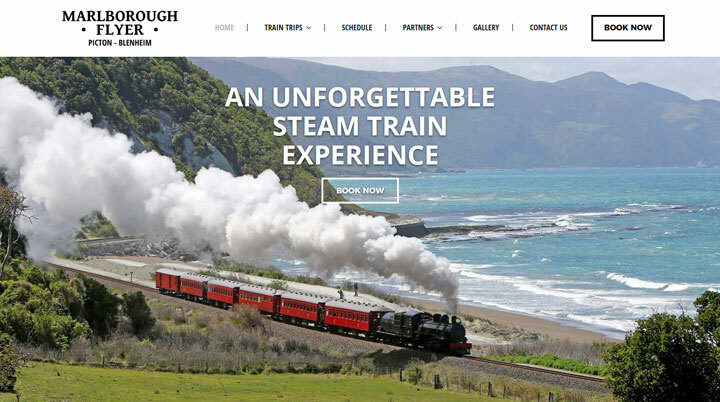 Combining our love of travel and adventure with what we know – designing and building websites, has lead us to become New Zealand tourism website specialists. 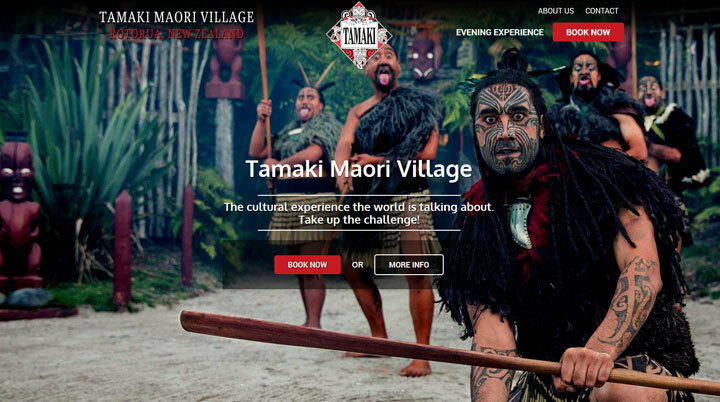 The New Zealand tourism industry continues to expand and evolve and with that comes exciting challenges in a competitive market. SunRoom will get to know your tourism business, whether it’s an activity, tour or accommodation, and what really makes your brand unique. Through learning about your business, target customers and goals, we then formulate a website plan that will best showcase you to the world, ensuring that your website is a beautiful, powerful marketing tool to get those bookings. What makes our tourism websites so special is our drive to create the best possible websites we can. Attention to detail, selecting only the most stunning imagery, editing photography where necessary to enhance it to it’s absolute best, each call-to-action placed to drive a conversion, well-written code to stand the test of various browsers and screen sizes…the list goes on. Please read our testimonials because we will move mountains to create a website that exceeds your expectations. Once your website is launched we can help your business to continue to grow by reviewing your Google Analytics results and consulting on SEO, email marketing and ad campaigns. One of the most important aspects for your website is integrating with the right online booking system to ensure you never miss a sale and never double-book. At SunRoom we have worked with numerous booking systems but we strongly recommend the award-winning Checkfront. 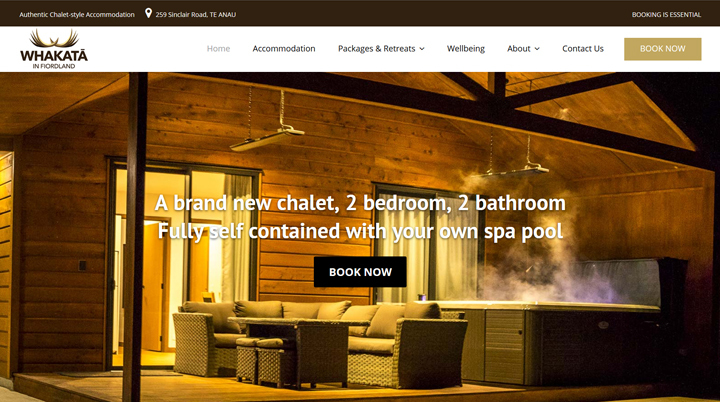 Checkfront is the perfect solution for turning your website into a booking engine for tours, activities, accommodation and rentals. Checkfront makes it easy to take and manage bookings and customers in a unified tool set, while seamlessly integrating into popular services that empower your business. Customers can easily view your availability, and then book and pay without too many clicks. You can manage your inventory and bookings from anywhere, on any platform – even your mobile phone. What’s more, you can really decrease your time spent on administration by automating invoicing, payment processing and customer communications, so you can focus on what you do best. Checkfront will enable you to empower your business and grow your sales by distributing with the biggest resellers, such as Booking.com, Expedia, TripAdvisor and many more. Checkfront updates inventory in real-time, eliminating overbooking and simplifying channel management. Commission tracking and data insights allow you to work with agents and partners, and effectively monitor where your business is performing best. Checkfront offers over 50 one-click integrations. Accounting integrations with Xero or QuickBooks Online. Marketing integrations include Google Analytics, Adwords, Facebook, MailChimp and more. Checkfront has processed over 1.6 Billion USD in bookings, made by businesses in 135+ countries around the globe. Join over 3500 businesses that use Checkfront to manage their reservations, payments and increase sales. Visit www.checkfront.com to learn more about Checkfront, then contact us so we can help to grow your tourism business online.